Welcome to the Level Builder. Please sign in. 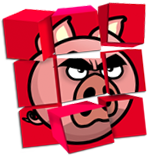 Welcome to Pig Avengers Level Builder. Please sign in. Your browser does not support the canvas tag. Time to upgrade. Ask other builders for tips, or ask your friends through Facebook. Click to undo. User ctrl + z for a shortcut. Use ctrl + y to redo"); addToolTip(document.getElementById("playButton"), "
Click to start simulation / Click to stop simulation. Use the space as a shortcut"); addToolTip(document.getElementById("copyButton"), "
Select blocks and push this button to copy. Use ctrl-c as a shortcut"); addToolTip(document.getElementById("pasteButton"), "